TransPower, an advanced clean transportation technology company, and Meritor Inc., which manufactures axles and brake systems and also is an investor in TransPower, have announced the completion of two multi-year projects for the development, testing and evaluation of advanced, zero-emission electric yard tractors and Class 8 trucks. The projects, which began simultaneously in mid-2015, were supported with grants from the California Energy Commission under its Alternative and Renewable Fuels and Vehicle Technologies Program. The program promotes new vehicle technologies that reduce petroleum consumption and production of harmful vehicle emissions. Under these two projects, TransPower developed a new version of its electric yard tractor drive system customized for heavy-duty yard tractors. In addition, TransPower improved a variant of its electric drive system used in on-road Class 8 trucks. The electric yard tractors built under the recently concluded demonstration projects are operating at Dole Fresh Fruit’s terminal at the Port of San Diego; the IKEA Distribution Center in Tejon; Grimmway Farms and Harris Ranch in the San Joaquin Valley; and Blue Diamond Almonds and Raley’s in Sacramento. These tractors have accumulated more than 15,000 hours of in-service use, most within the past year, validating their ability to handle demanding cargo handling in a wide variety of duty cycles. The two electric trucks also are being operated at the Port of San Diego. Building on the successes of these two projects, TransPower has received grants and contracts to convert 100 additional yard tractors and trucks to electric drive for use in California and is ramping up commercial manufacturing of electric drive kits for installation into yard tractors at assembly lines operated by established yard tractor manufacturers. 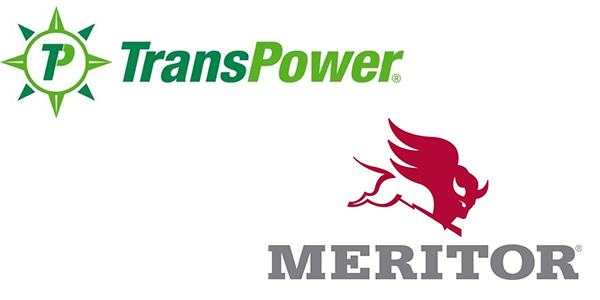 Meritor and TransPower, in collaboration with major vehicle manufacturers, will be exhibiting their latest electric vehicle technologies at the Advanced Clean Transportation (ACT) Expo taking place April 24-26 in Long Beach, California.